In a stop-start affair, neither side were really able to get a foothold in the game, and it was reflected on the scoreboard, with only a Declan Morris penalty separating the sides at the interval as MK led 3-0. It was shaping to be more of the same in the second period, but the visitors eventually made their pressure tell when they went out wide, and some quick handling skills saw Fraser Cunning cross over in the 57th minute. 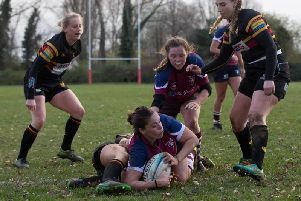 The sides continued to cancel each other out, but MK finally made sure of the result in the final minute when Stuart Phipps intercepted and ran in their second try of the afternoon to win 13-0. The result sees MK move up into fourth place, and play host to Drifters, who sit one place below them in fifth.